A national waste management company has called for steps to be taken to stop the scourge of world famous graffiti artist Banksy. Drawing attention to how he paints on walls and gets praised for his actions, the UK-based company BusinessWaste.co.uk points to the massive bills local authorities and private companies face to clean up graffiti and say that he is no different from spray-can wielding ″taggers″. Calling for concrete measures to name and shame the man behind the Banksy reign of terror, BusinessWaste.co.uk has hatched a plan to corner the so-called artist and perform a citizens arrest. According to recent estimates, graffiti costs local councils and private businesses over £1billion every year to clean up in the UK. London Underground say that it costs them around £10m annually to replace damaged equipment and clean up after graffiti ″artists″. Local news outlets are constantly full of reports on graffiti damage. ″A random trawl through the news reveals a £1,000 bill for cleaning up mindless nonsense in a West Country churchyard. Who’s got that kind of money to pour down the drain?″ Hall asked. ″We’re going to set up a trap to catch him,″ said the BusinessWaste.co.uk spokesman, announcing a foolproof plan that will capture the anonymous artist and unmask him at last. ″We’ve prepared a big blank wall opposite our offices that no self-respecting international graffiti artist will be able to resist,″ the BusinessWaste.co.uk spokesperson explained. Once he’s struggling under the huge cargo net, we’ll make the citizen’s arrest, pull off his disguise and unmask him in front of the world’s media. 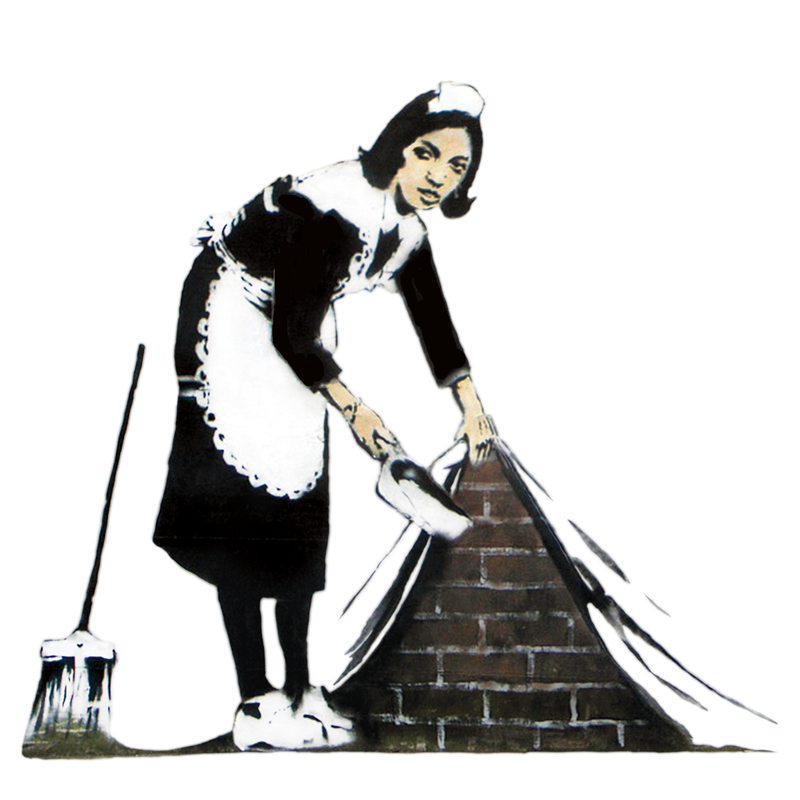 Sheldon Craig, spokesman and art critic for the gentlemen’s lifestyle website Socked.co.uk said that while Banksy’s works have merit, ″their naivety and lack of subtlety kick you in the face, and often not in a good way. He needs to get back to basics, take an evening class or two, and learn from acknowledged masters like Van Klomp.